Baños is one of the most tourist-friendly cities in Ecuador. It caters to visitors who want to explore the surrounding mountains, waterfalls, and rivers. It's also the place to go for adventure sports. The city is full of options for exploring and sightseeing. We loved Baños and could have spent a lot more time there. Keep reading to find out what we did and where we slept. We arrived in Baños a day earlier than we planned. We had an Airbnb booked for our stay, but we needed somewhere to stay that first night. We got a recommendation to stay at Community Hostel, and we're glad we did. Thirty dollars got us a private room, bathroom, and breakfast. The food was fresh, delicious and everything was locally sourced and handmade. We slept well and met some cool people at the breakfast table. Breakfast. Savory vegetable crepe, fresh fruit and yogurt. One of the people we met was, Jitske. She works at the hostel and is also one of the owners of Takiri Travel. More on Takiri later because first, we hooked up with Geotours for some fun and adventure. 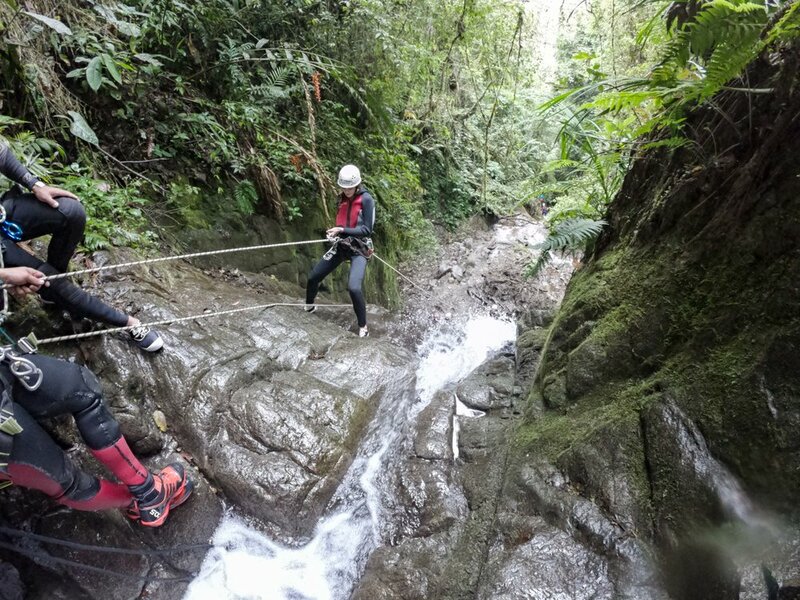 There is no shortage of companies in Baños offering zip lining, canyoning and any other adventure sport you can think of. The best of these companies though is Geotours. Located right in the middle of Baños, they are professional and tons of fun. We had a blast with our hosts and guides. They also all speak English very well, which definitely helps with communication. I hate how all these photos turned out though. I’m starting to hate GoPro. Geotours offers several tours. 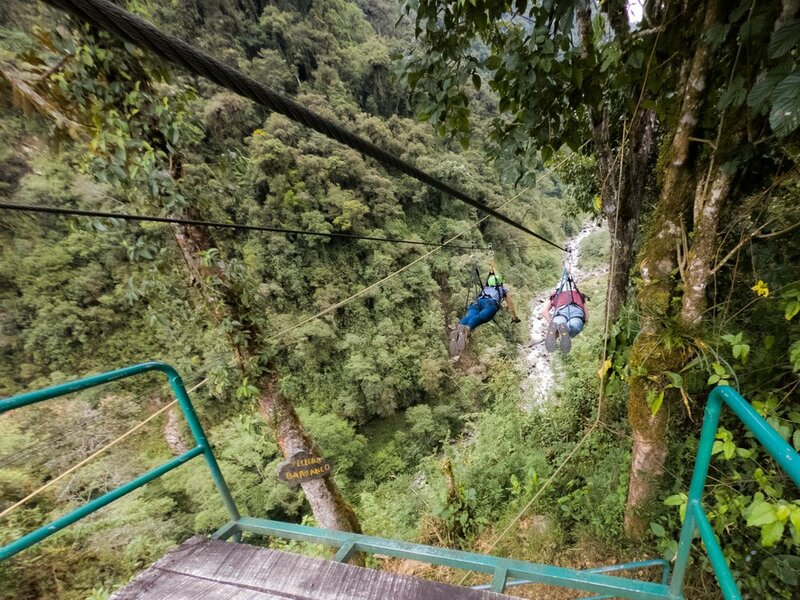 Everything from bungee jumping, hang gliding, biking, and rafting. 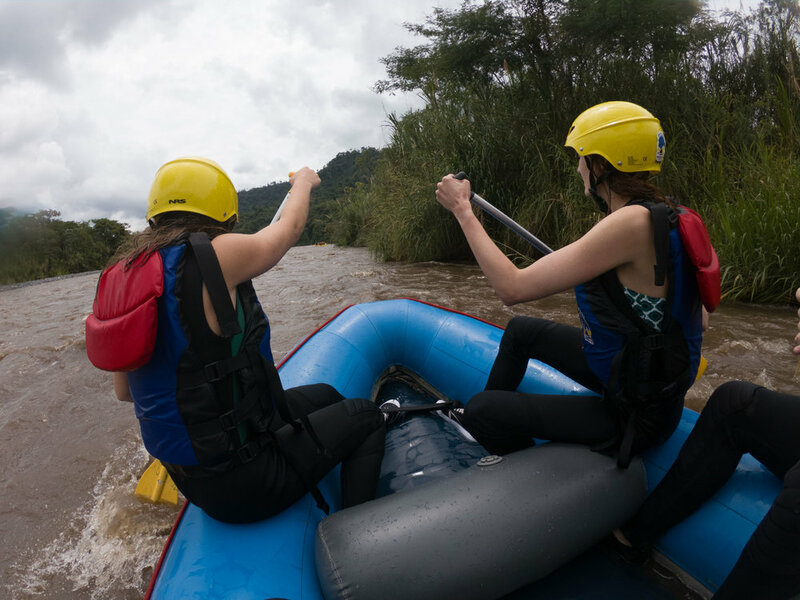 We chose to go canyoning, white water rafting, and zip lining. Be sure to call in advance as these tours are small and fill up fast. Our canyoning and rafting tours also included a lunch that was way better than we expected it to be. 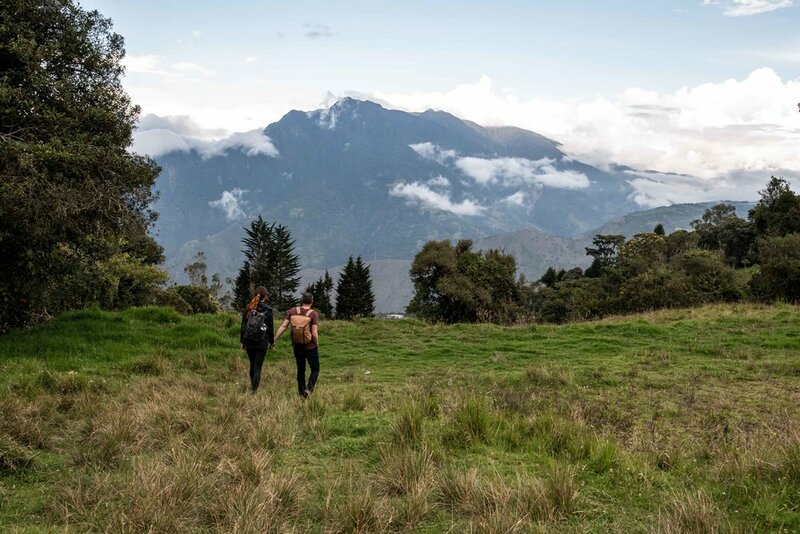 If you're going to Baños, you can't go wrong with Geotours. 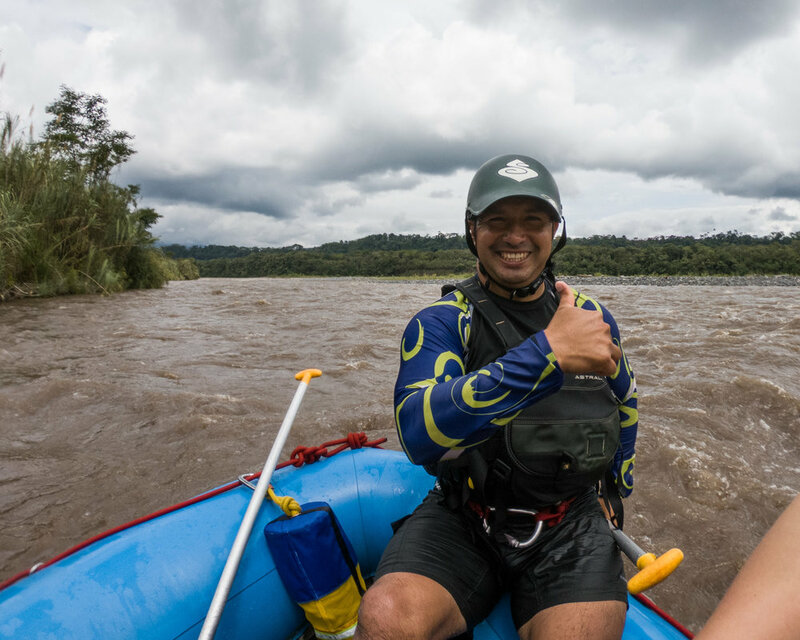 Takiri Travel can also set you up with adrenaline sports, but their focus is on more local based experiences. 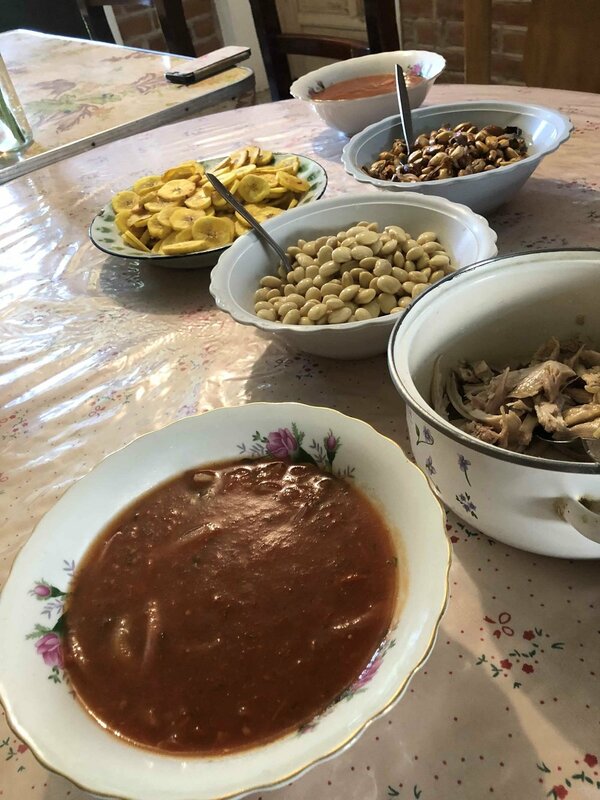 We took a guided bike ride with Ecuadorian natives and explored a local farm and learned how to make ceviche. The bike ride was strenuous but scenic. We saw places we wouldn't have found on our own without our guides. We also made a pit stop in a small town for snacks. The farm tour was delightful. 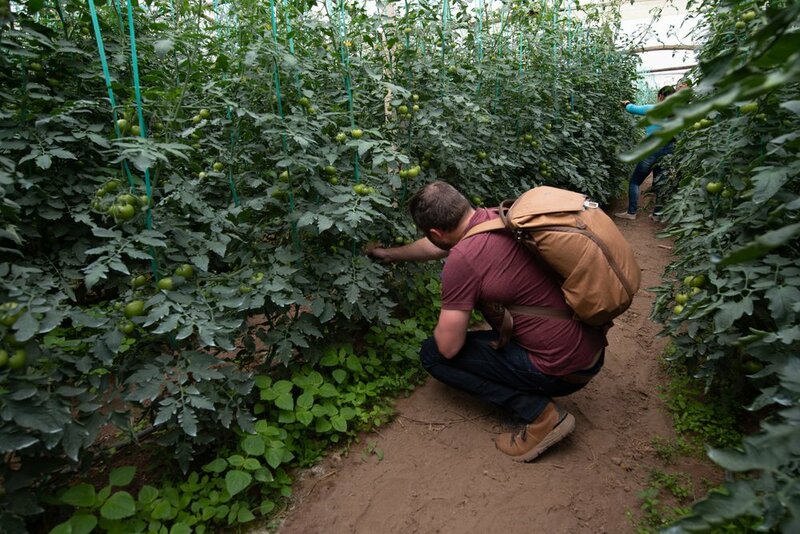 We toured a tomato and babaco farm. It was interesting to see how the farm worked and to learn about the economics of farming in Ecuador. 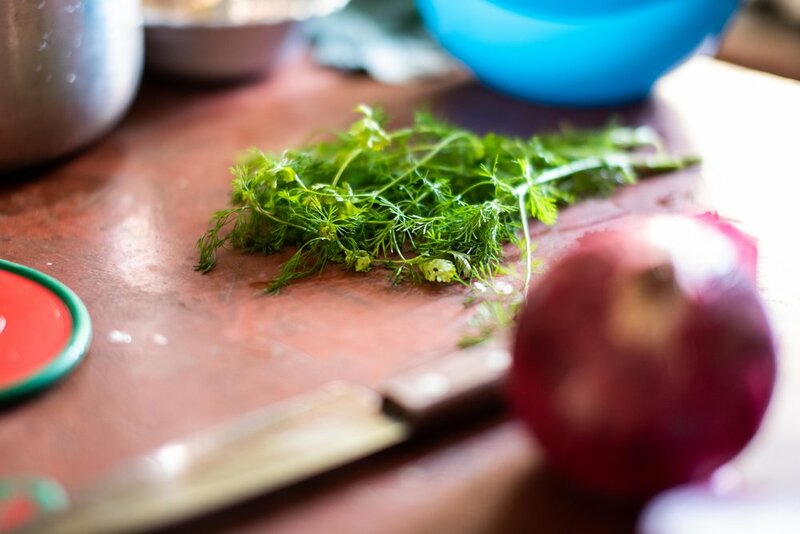 After we picked some vegetables, we took our crop inside to the kitchen. There, Monica taught us how to make Ecuadorian ceviche. Instead of a citrus based fish dish, this ceviche was tomato based and made with chicken for me and beans for Charise. We topped the soup with plantains and corn that had been cooked down with garlic and onions. Overall, we weren't impressed with the food in Ecuador, but this fresh farm ceviche was terrific. It was so good. It was great to learn how to make it ourselves from the produce we had just picked. Our hosts, Monica and Olger, made us feel welcome and taught us a lot. Charise cutting up some babaco. Ecuador is much cheaper than we could have imagined. Everything was inexpensive. The food, the sights, and even the accommodations were very budget friendly. Our Airbnb was no exception. For only 140$ a night we were able to rent a three bedroom, four bath house right on a creek. The home was gorgeous. It even had a staff included that brought us fresh bread every morning. Our bedroom had a huge balcony that overlooked the water and mountains. I don't even want to guess how much this house would have cost to rent in the states. The dining room and the views. So many stray dogs in Ecuador.